Celebrate the recent royal wedding between The Duke and Duchess of Sussex! Prince Harry and Meghan Markle said "I do" and now you can say "I do need to order!". Dressed for the wedding, each pop measures approximately 3 3/4-inches tall. 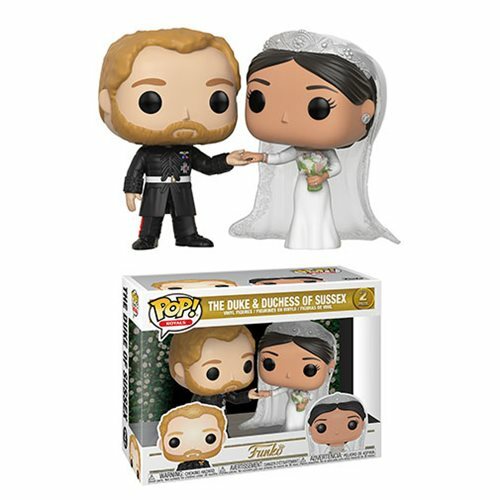 This Royals Duke and Duchess of Sussex Pop! Vinyl 2-Pack comes packaged in a window display box. Ages 3 and up.